In mid-August, earlier than planned and expected, Como Fashion Code 07 reopened in Sint Katelijne Water, Belgium! 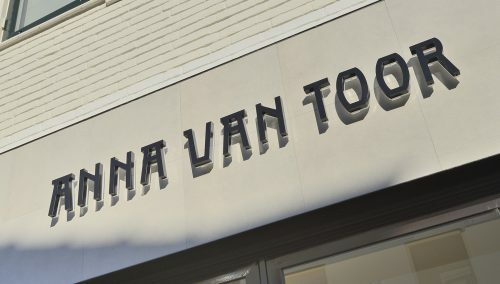 The fantastic partnership between owner Margo Talemans and the retail designers from WSB led by Rick Blankenstijn resulted in a wonderfully smooth process. The old store, originally a warehouse, has been given a warm new makeover in the shape of a thorough restyling! During a previous refurbishment, the shop windows were covered with cement fibreboards, which was definitely not very attractive. 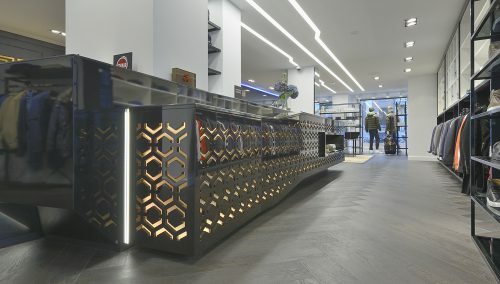 The warehouse had a slightly cold character and the retail design was intended to enhance the shopping experience and upgrade the appearance – outside as well as inside!